There are many versions of fountains to choose from but one of the more popular is the Deer Chaser. The Deer Chaser has a particular action and motion which is designed to keep animals away yet it attract humans to it like “bees to a honeypot.” Shopping for bamboo fountains depends on two things: you either don’t want to go to the trouble of assembling your own or you are a handyman who loves to work on a project. The good news is both variations of fountains are available to you. 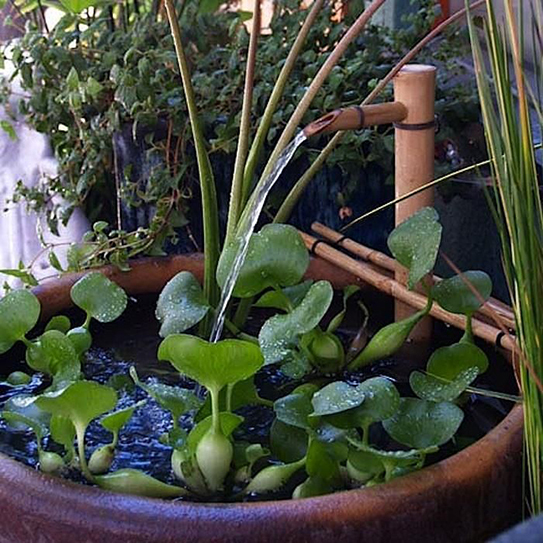 Obviously it’s a cheaper option to build your own fountains but for people with little time on their hands, buying a ready made fountain is as simple as shopping on line. How much will you expect to pay? This is difficult to estimate because prices vary considerably from outlet to outlet but with all the working parts plus accessories such as a pump, you could pay anything up to $70. Look for solid bamboo because you don’t want your project cracking. 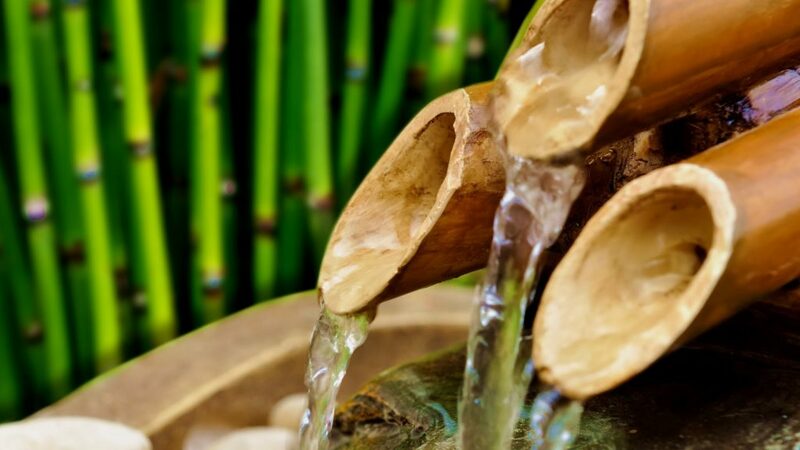 Use a protective finish or coating on your bamboo water fountain. An outside version will be faced with extremes in weather elements and cracking could be a problem while mold is another problem which could be encountered.